We spent three days at the B2 Hotel in Chiang Rai, and it was a great location for getting around the city. It’s a boutique and budget hotel that’s about 5-10 mins walk to the central area of town that has the night bazaar and bus station. 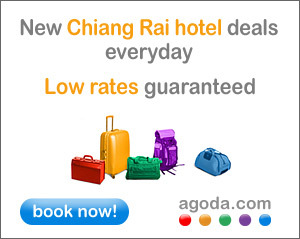 Click here to book B2 Hotel via Agoda. The hotel looks almost brand new, and all the rooms are very modern. We have aircon, small fridge, TV, and very modern (but small) bathroom. Cost via Agoda was 550 baht ($18, £12) per night. The hotel is advertised as having high-speed internet, but it was very slow when we were here. I used speedtest.net to check the speed, and it ranged between 0.22 and 0.55 Mbps for download, and between 0.07 and 0.18 for upload. That is nowhere near high-speed. The connection was pretty stable though. It was adequate for a few days, but if we were staying longer-term we’d have looked for a place with better internet speeds. But I’ve no idea if there are hotels with better internet speeds in Chiang Rai. We checked at one other hotel, and were told that the internet didn’t work some days, and didn’t work at all in some rooms. So maybe the internet here isn’t so bad for Chiang Rai. Address: 393/38-40 Banphraprakan Road, Chiang Rai. Click here to book B2 Hotel via Agoda, or use the link below to search for other hotels in Chiang Rai.